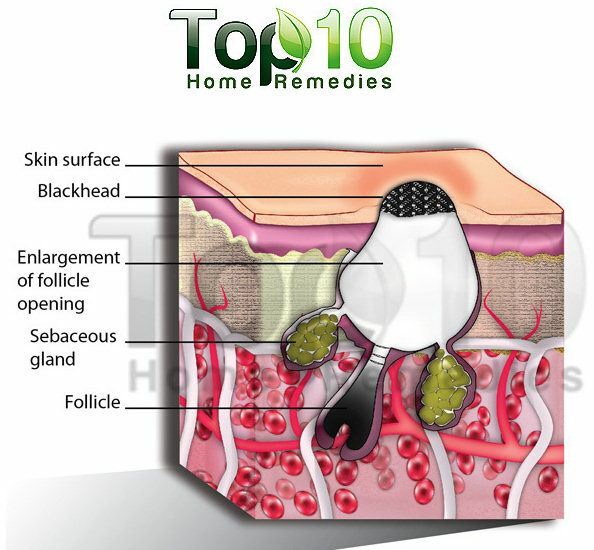 People of any age can have problems with blackheads on their skin, but most often it is an issue during the teenage and adolescent years. Also referred to as open comedones, blackheads are small yellow or black bumps that form when a clog develops in the opening of hair follicles due to a combination of excess sebum and build-up of dirt and dead skin cells. The bumps appear dark not because of dirt but as a result of oxidization. This happens when the clogged pores are exposed to the air. 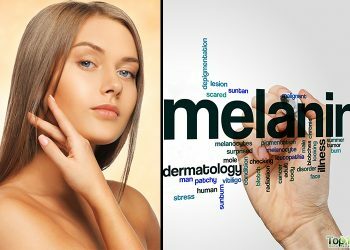 Factors like hormonal changes in the body, excessive use of cosmetic products, improper skin care, stress and genetics contribute to this problem. 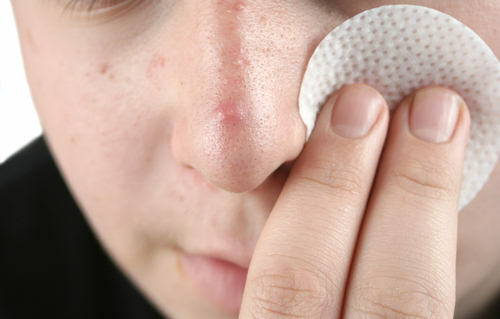 Blackheads commonly occur on the face, particularly the nose. They can also appear on the chest, back, neck, arms and shoulders. 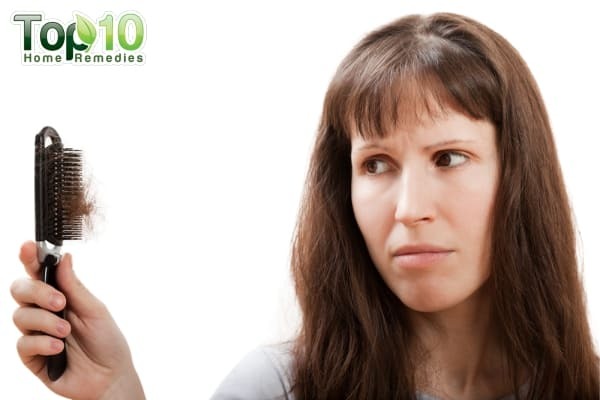 If left untreated, they can spur acne breakouts. 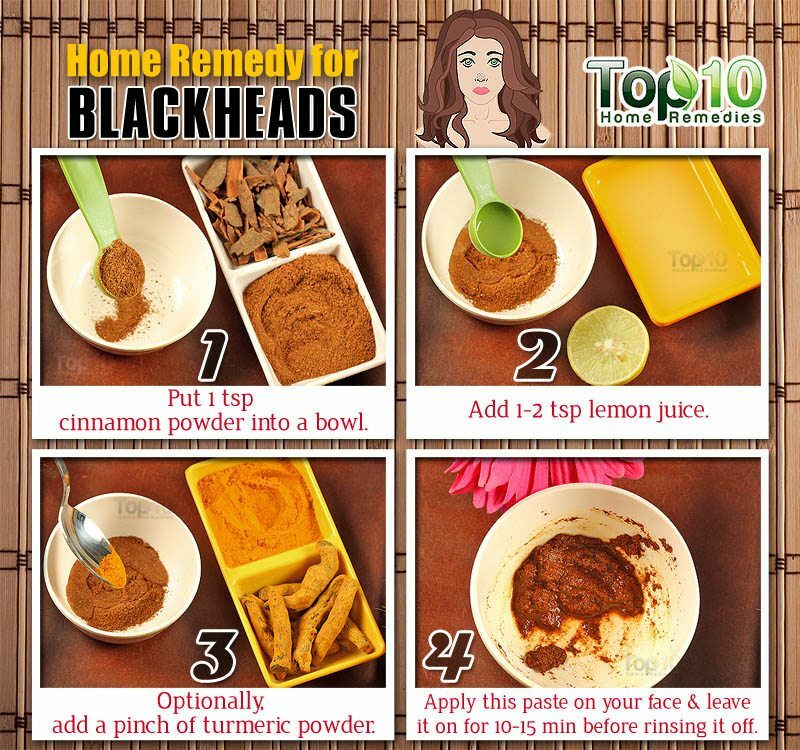 There are many prescription medicines for the treatment of blackheads, but you can always try natural treatments. 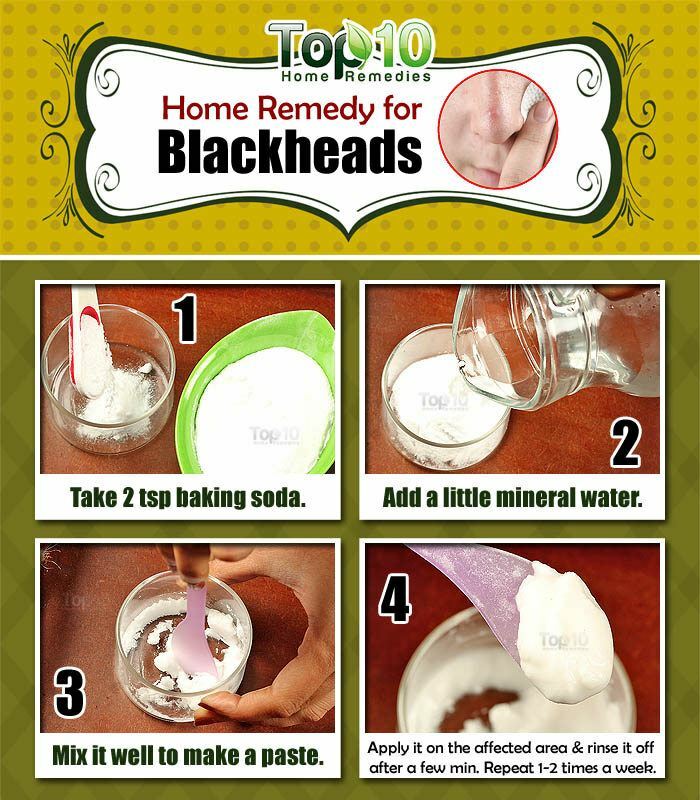 With simple ingredients easily found in most kitchens, you can treat your blackheads within a few days. 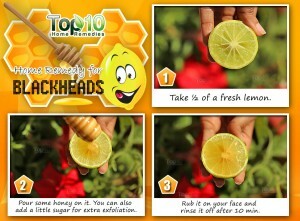 Here are the top 10 home remedies for blackheads. You can also make a paste by mixing together two tablespoons of oatmeal, three tablespoons of plain yogurt, and small amounts of lemon juice and olive oil. Apply the paste to your entire face, leave for a few minutes and then rinse your face with water. Put a few drops of honey on half a lemon. For extra exfoliation, you can also add a little sugar. 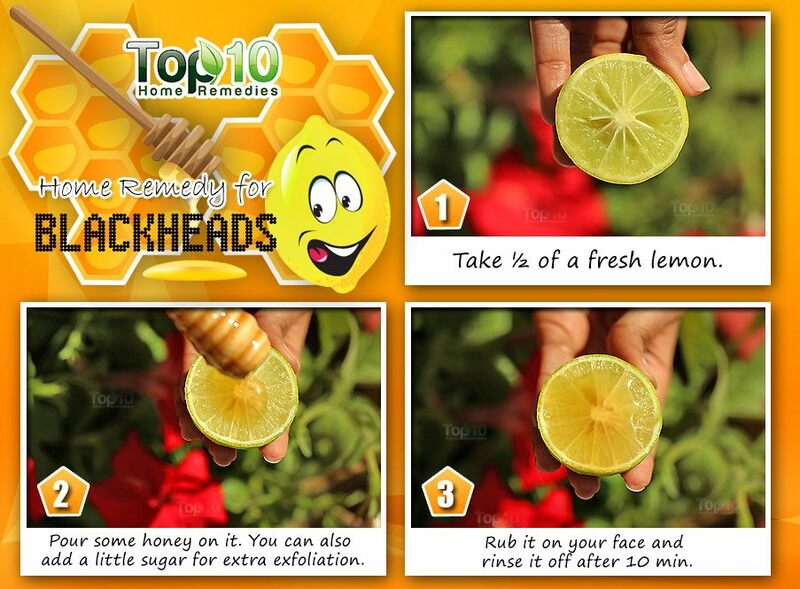 Gently rub the lemon on your face, especially on the blackhead prone areas. Rinse it off after 10 minutes. Repeat once or twice a week. 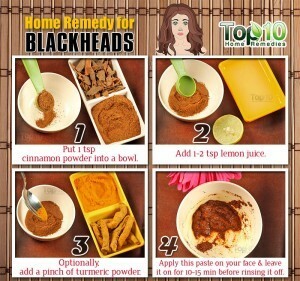 Turmeric, which works well for minor burns, can also be used to treat blackheads. Mix some turmeric powder with two tablespoons of mint juice. Apply it to the affected areas. Allow it to dry for a few minutes and then wash the area with lukewarm water. You can also make a thick paste by mixing red sandalwood, turmeric powder and milk together. 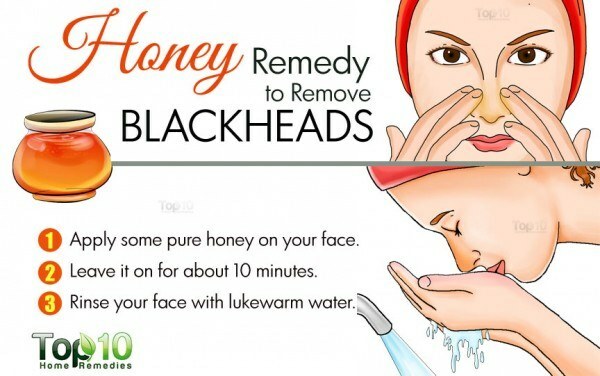 Apply it on the affected area and after 10 minutes wash the skin with water. 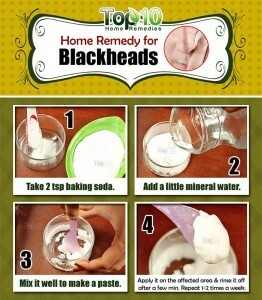 Another effective and natural way to treat blackheads is Epsom salt. Mix one teaspoon of Epsom salt and a few drops of iodine in a little hot water until the salt dissolves completely. 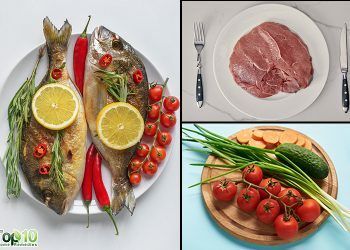 Allow the mixture to cool to room temperature. Use a cotton ball to apply to the mixture on the affected area. Allow the mixture to dry. 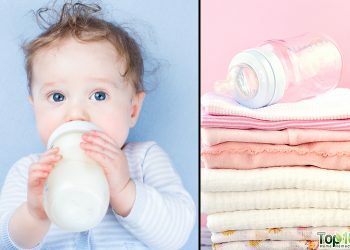 Use a clean washcloth to gently wash it off. Cornmeal acts as an abrasive to clean out dirt blocking the pores in your skin. Mix one tablespoon of powdered cornmeal with some milk or water. Before applying the mixture, use steam to help open the pores on your face. Then apply the mixture and gently massage it in a circular motion. Concentrate on the most affected areas. After a few minutes, rinse your face with cold water. This will help close the pores. 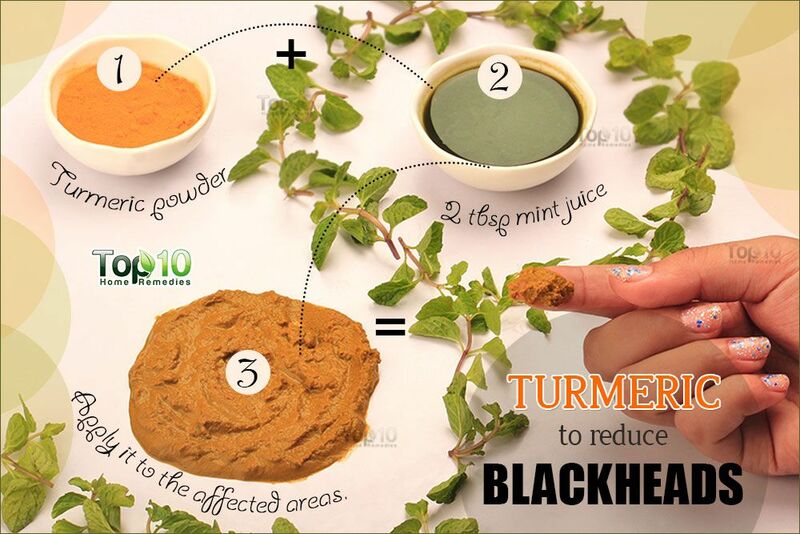 One of the easiest and simplest natural remedies for blackheads is fenugreek. Apply it on the affected area and allow it to dry for about 10 minutes. Rinse it off with lukewarm water. These remedies have helped many people eliminate blackheads. Most need to be used regularly for long-term results. If they do not work for you, you may want to consult a dermatologist. I tried the honey method and there were improvement. When I tried the baking soda I mixed up a paste with sparkling water, I suppose soda water would be much the same. I thought this was also good. Early days but will try both again, but will try cinnamon next. Boil mineral water and soak a face towel into the water. Then just place the hot towel onto your face for a few minutes. After this, apply the baking soda and afterwards your face will feel super soft and glow wonderfully!! Can you use regular water..from like a sink or refrigerator ? 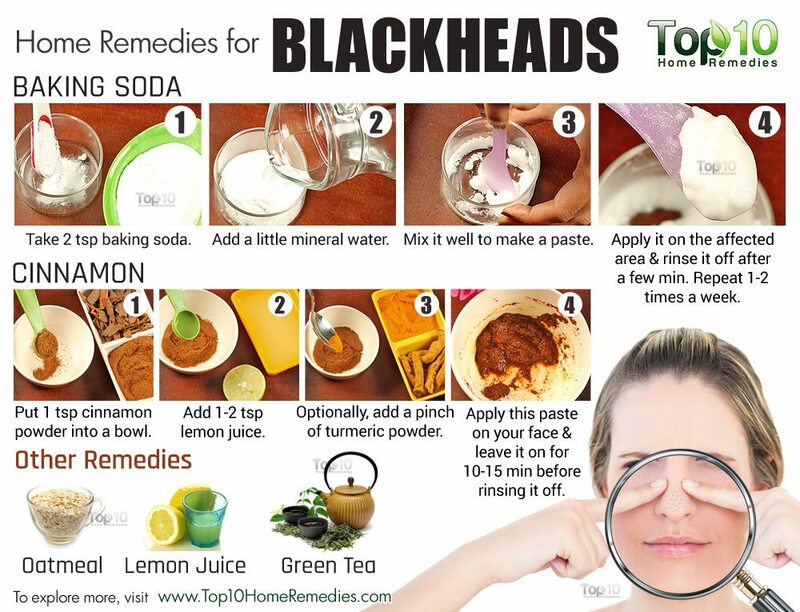 I havenblackheads all over my face n spreading on my body, i really do trust n hope that the baking soda do wonders for me. After read all this …….I think baking soda is best ♡ let’s try it. Not sure if anyone comes to this site any more but I use honey as a facial wash in the mornings and coconut oil afterwards as a mosturiser and it’s great stuff it give you beautiful skin at very little expense. I also use baking soda,coconut oil and honey for teeth whitening then brush as normal. Honey and coconut oil work wonders for most things including your hair they are always top of my shopping list ? hope someone finds this useful. Baking Soda and a little vinegar make a past put it on your face let dry wash off pat dry 2 or 3 times a week…..